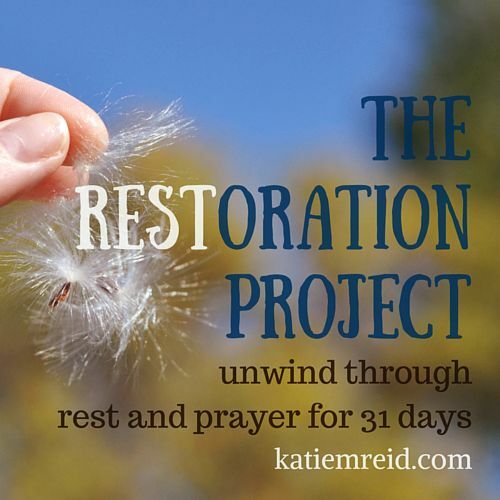 Welcome to Day #25 of the Restoration Project. C-O-N-T-E-N-T. A seven letter word that is easy to spell, but much harder to live. Let’s ask God to help us be content today. Whether you are sure of the next step or waiting for an answer—still. There are many things we wish were different in our lives. But, You are faithful. You are with us, and that is what’s most important. Help us, like Paul, to learn the secret of being content. Help us to see all the blessings gathered ’round today. Help us to know how deeply loved we are. Forgive us for longing for a different season. Maybe we are trying to relive the glory days, or maybe we are fixating of the days to come—help us to fully engage today. 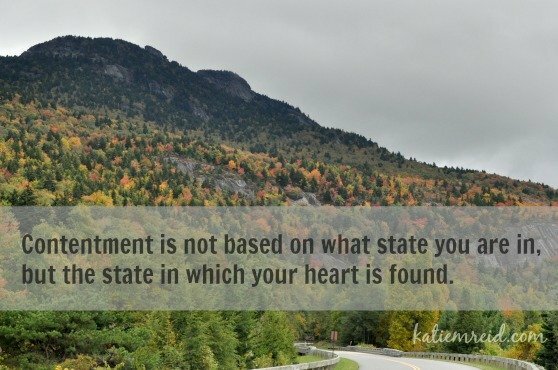 Would you take the blinders off and clear our vision to see Your goodness in this present moment? Would you unstop our ears, so that we can hear the vibrant music of creation’s composition? We choose to give thanks, right here, right now. Thank You for this life. Thank You for the gifts that you stack up in a grandiose display of grace. Thank You that—even more than these gifts—You are Present. Holy Spirit, thank You that You are able to help us be content—not complacent, but at rest in Your ability to handle this life as we follow Your lead. Show us the next dance step, not the next five, but just the next one—the next twirl, up close to Your side. We love You. We desperately need You. Thank You that you don’t change. You—ever, constant, faithful, true.